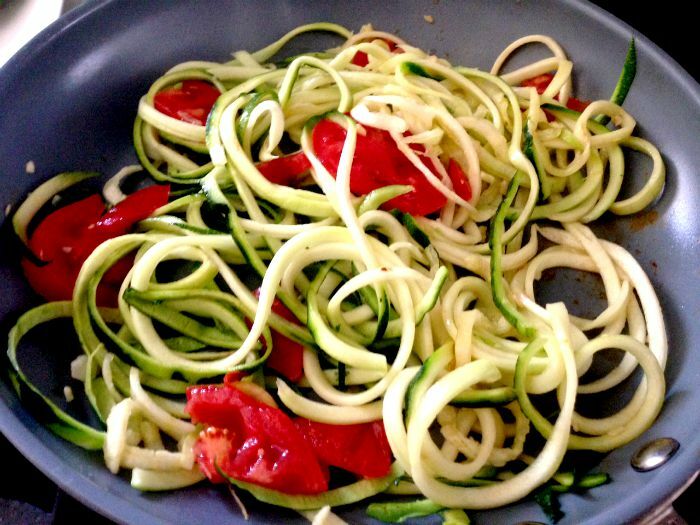 Zucchini noodles are a low-calorie substitute to flour noodles. They can be make ahead of time, and store for 2-3 days. 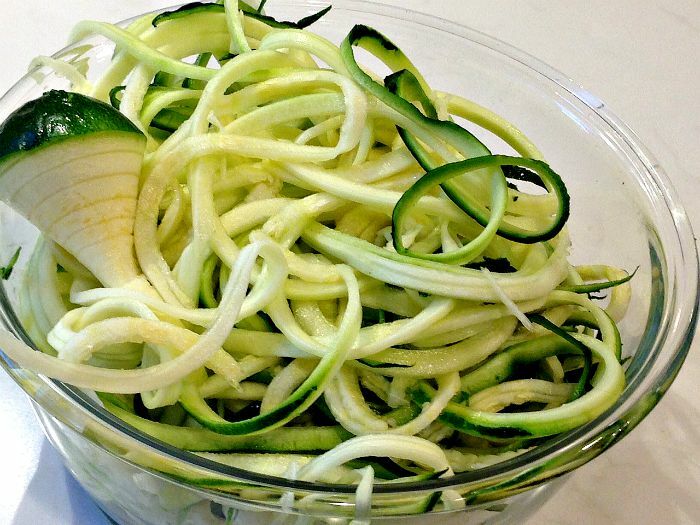 If you purchase zucchini don’t buy them too big, you’ll want them to fit through the spiralizer. I grow zucchini in whiskey barrels -they’re easy to grow in full sun and fairly low maintenance. 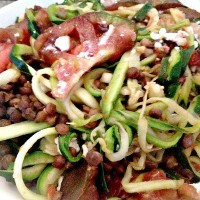 I like the GEFU spiralizer best, but there are a variety available on the market.